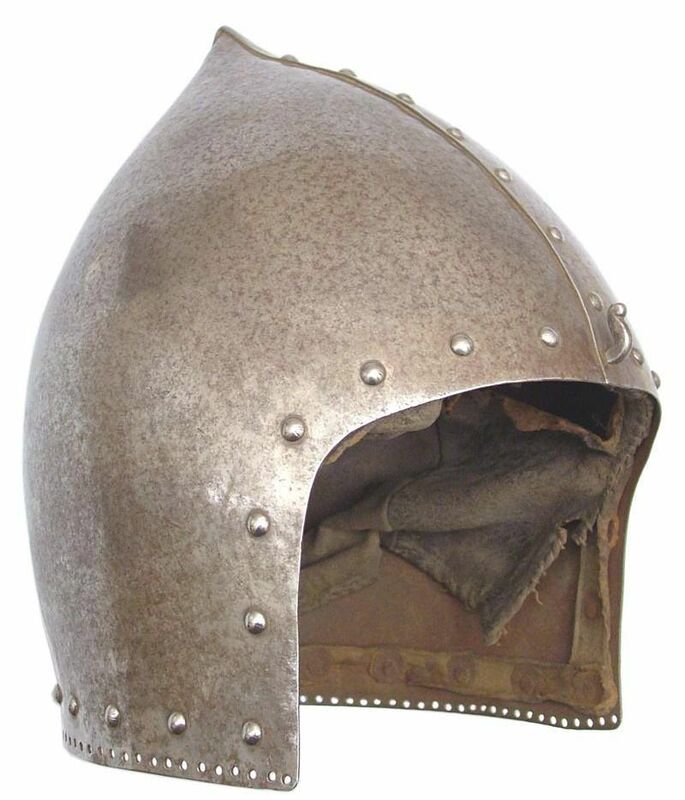 Forum Index > Historical Arms Talk > Authentic Riveted Bascinet ? Posted: Mon 18 Sep, 2017 8:01 am Post subject: Authentic Riveted Bascinet ? What do you guys think, authentic or not? Please forgive my skeptical nature, but I recently said the same thing concerning a recently found Viking sword---it looks very 'crisp' to be an authentic medieval piece. Well done, no doubt there....but I'm going to say 19th or early 20th century repro. If it IS an original, it never saw a battle. That would have been a rich man's *Saturday night special, grab your wench, and do a promenade about the castle 'round*. The guys on AA seem to think it's a fake http://forums.armourarchive.org/phpBB3/viewto...p;t=186583 so no argument from me. No...that is not a real, antique bascinet. Lots of things are a tip off, most of them already cited here.